Branding is an integral part of any business’s marketing initiative. An unchanging brand can carry a company’s reputation for decades just as well as a more flexible one can consistently shift with the times and re-invent itself every few years to cement its relevance. Branding matters in the office products industry, as competition is rife and a strong name carries a great deal of weight. According to entrepreneur John Rampton, “Your brand is your promise to your customer. It tells them what they can expect from your products and services and it differentiates your offering from your competitors.” As such, it isn’t something that should be taken lightly when planning the future of your business. Dealer Support delves into a few things any reseller should consider in its marketing initiative. An increasing number of dealers are altering their names in order to better encapsulate what they offer. Anybody in this industry is, by now, likely to have witnessed at least one dealer switch from ‘office supplies’ to ‘business solutions’ – or a variant thereof – in its name. ‘Office supplies’ often no longer covers the sheer breadth of what resellers are offering or, perhaps, the company simply doesn’t want to be limited for future growth. Changing your company’s name may seem unattainable and costly, but it can make a difference and give a business the boost it potentially needs. In last month’s issue of Dealer Support Gordon Profit described the impact which changing his company’s name had – he renamed it Citrus Office in order to highlight the fresh new look and feel of the business; the move proved purely positive regardless of whether the name indicated what the company sold. Choosing a colour that customers can associate with your business sinks deep into the mind and helps to cement a brand more firmly. When you think of a major supermarket, it’s likely you also imagine the colour of its logo (orange for Sainsbury’s, green for Morrison’s, blue and red for Tesco, and so on). ACS underwent a rebrand earlier this year which saw it switch its branding to blue in a move intended to create a clearer image of the business in customers’ minds. The change you decide to make doesn’t have to be a big, time-consuming shift, but it is something to consider as part of a larger marketing initiative. You might also like... Hard work or smart work? Daunting as it can sometimes seem, having – and maintaining – a social media presence, whether or not your business has a marketing-based employee, is increasingly important in an age when customers – particularly younger ones – are far less likely to make an order over the phone than they were just 10 years ago. A social media platform allows a business to market itself for free (or a small cost if you want to invest in additional advertising) while engaging with customers wanting an easy way to get in touch. It adds a personality to a company and users can create a sense of community around it by talking to clients and peers alike. Twitter is probably the most appropriate platform in terms of accessibility and easy engagement, and can be effectively used to gauge what customers want most. Hashtags are a prolific tool used all over social media and, no matter how you feel about them, they’re not going anywhere. Sovereign Office, for example, uses a hashtag that is synonymous with its logo – #somuchmore – which is simple, descriptive and requires no explanation. A company which already has a tag line can easily convert this into a hashtag for use on its social media platforms, encouraging customers to spread the message further. 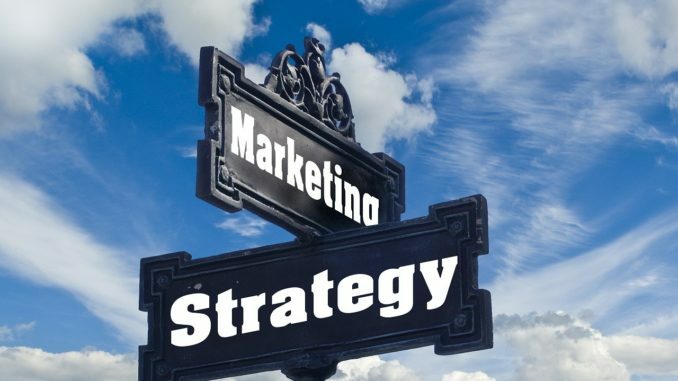 Remember, the industry is a competitive place and you don’t have to pour much money into a marketing and branding initiative in order to make real strides in the improvement of customer relations – a refresh can cost next to nothing yet lead to increased sales and a loftier business profile.